Services | In Control Inc.
From the simplest stand-alone devices, to the most complex integrated systems, we design, install, service and maintain solutions that incorporate your existing systems and enhance your security operations. With our extensive experience and training, coupled with the latest technology, we help improve the way you manage and monitor all aspects of your security and life safety systems. 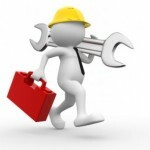 Preventative maintenance that helps eliminate unexpected costs. Our Service Plan keeps you covered with scheduled preventive maintenance for all of your intrusion detection, access control, video surveillance and fire detection systems. It provides a fixed set of costs, allowing you to avoid unexpected maintenance expenses on your covered systems for as long as you own them.